Most of the time due to the imperfect nature of the physical world there're a number of factors that influence the quality of the data retrieved from given sensor. These factors usually result in the loss of data or the addition of undesirable values. This undesirable data is known as 'noise'. Figure 1. 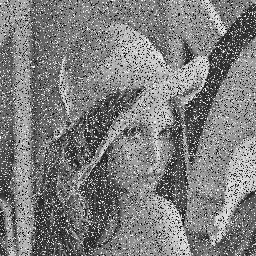 Example of an image with Gaussian noise.